It’s been 50 years since one of biggest — and most hyped — operational achievements by Mossad, the Israeli foreign intelligence service. On Aug. 16, 1966, Operation Diamond resulted in what is usually described as the “defection” to Israel of an Iraqi air force MiG-21-pilot, Capt. Munir Redfa. Redfa took his MiG with him. There’s been no end to the rumors surrounding this affair, and especially regarding Redfa’s reasons for defection. According to official Israeli version of the story, Redfa was an Assyrian Christian who suffered from religious and ethnic discrimination, had been passed over for promotion and was forced by his commanders to live far away from his family in Baghdad. The Israeli government offered him $1 million, Israeli citizenship and full-time employment — and accepted his condition that the Israelis smuggle his family out of Iraq. The MiG-21 Redfa flew to Israel enabled the Israeli air force to evaluate the aircraft and discover its strengths and weaknesses — knowledge that proved instrumental in the Israeli air force’s successes during the Arab-Israeli wars in the period 1967 to 1973. Furthermore, in January 1968 Israel loaned the aircraft to the United States, which further evaluated it under the program Have Donut program housed at the infamous Area 51 in Nevada. The ex-Iraqi MiG-21 — re-designated YF-110 in U.S. service — proved to be a huge boon for the Americans, more so because Redfa reportedly delivered it to Israel together with several training and tactical manuals. All of the above reflects the popular version of Redfa’s story. These versions of the tale usually concentrate on the period immediately before and after Redfa’s flight to Israel. But with the help of retired brigadier general Ahmad Sadik, a former officer of the Iraqi air force intelligence directorate, and Egyptian historian Nour Bardai, we can bring to light fresh details about the circumstances leading up to Redfa’s famous flight. It’s well-known that Mossad had long tried to convince Arab pilots to defect and fly their aircraft to Israel. The first attempt ended in a failure. Israeli informant Jean Leon Thomas approached Capt. Aid Hana of the Egyptian air force, offering him $100,000 to fly his MiG-17 to Israel, but the Egyptian quickly turned him over to authorities. Thomas was arrested together with five aides, sentenced to death and hanged together with two others in December 1962. Two years later, Israelis were somewhat more successful with another Egyptian pilot. Capt. Mohammad Abbas Helmy — widely regarded as corrupt and unruly — defected with a Yakovlev Yak-11 trainer after a dispute with his superiors. A few months later, he was assassinated in South America. With their efforts in Egypt remaining mostly fruitless, the Israelis began searching elsewhere. A new opportunity offered itself in Iraq when Ezra Zelkha, a Jewish merchant from Baghdad with connections to the Iraqi underworld — and codenamed “Yusuf” by Mossad — made it known that a group of 15 Iraqi air force officers would be traveling to the United States for a staff course at Randolph Air Force Base near Lackland, Texas in February 1965. But why would a group of Iraqi MiG-pilots undergo training in the United States in the 1960s? Remember, Iraq was not always a Soviet ally. The country was a close ally of Great Britain until the bloody military coup of 1958, after which a junta led by Brig. Gen. Abd Al Karim Qassim came to power. Qassim appointed Brig. Gen. Jalal Jawad Al Awqati — a staunch communist — as the new commander-in-chief of the air force. Warmly welcomed in Moscow, Awqati rushed to place orders for plenty of new aircraft. Iraq became the first Arab country to buy types such as the MiG-19, MiG-21 and Tupolev Tu-16 bomber — years before Egypt got any of the planes for itself. Qassim’s rule ended with another military coup on Feb. 8, 1963. The new government not only forced all Soviet advisors out of the country, but also arrested most of the officers it considered loyal to Qassim. Although trained to fly MiG-21s in the former USSR, Redfa was one of only five pilots the new regime trusted to continue serving with the sole Iraqi unit operating MiG-21s — No. 11 Squadron. Following another military coup in Baghdad on Nov. 17, 1963, a new government consisting of British-trained officers established itself in power and instantly took great care to re-establish old ties to London and Washington. In the course of their reorganization of the Iraqi military, they appointed Redfa as deputy to the commanding officer of No. 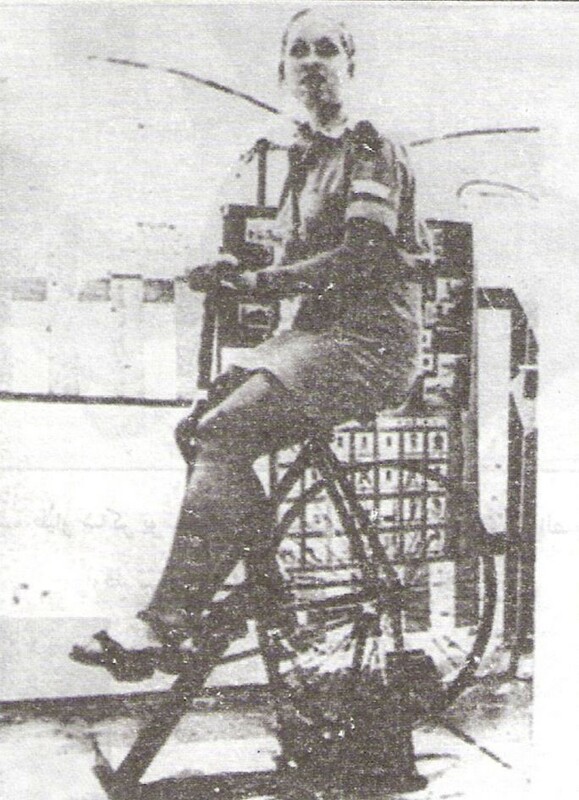 11 Squadron, Maj. Fahad Abd El Haley As Saydoon. At the time, the Iraqi military didn’t care much about ethnic and religious backgrounds of its officers. It was their loyalty to the government that mattered. Correspondingly, it didn’t matter that Redfa was an Assyrian Christian or underwent conversion to the MiG-21 in the USSR. Indeed, Redfa was subsequently selected to attend the staff course in the United States and then appointed commander of No. 11 Squadron in July 1966, underscoring the air force’s trust in him. However, once in the United States, the unsuspecting Iraqi officers were targeted by several female Mossad agents. Presenting herself as “Zainab,” Jean Pollan approached 1st Lt. Hamid Dhahe in March 1965, but the Iraqi refused her offer to help him defect. Outraged, the Israeli agent gave the young Iraqi pilot three days to leave the United States. Failing to obey this command, Dhahe was found shot to death in a bar on the evening of June 15, 1965, following a short power outage that provided an opportune black-out. Yusuf’s “girlfriend” arrived in Baghdad just a few days after him and they met in an apartment on the evening of July 6, 1965. When Yusuf refused the invitation to defect to Israel with his MiG, Ezra Zelkha, who was filming every one of the meetings, entered the room and shot the Iraqi officer to death. Raglob survived the Mossad’s pursuit only a little while longer, and was killed not because he refused to defect, but because he demanded too much — $1 million. He was caught by two Mossad agents and thrown out of a high-speed train during a trip to Germany on Feb. 11, 1966. Once the Iraqi made his decision, other Mossad operatives took over. Three days after his family of 17 evacuated via Iran, the Iraqi squadron commander took off for a training mission from Tammouz air base, west of Baghdad, and then flew via Jordan to Israel. While there is no doubt that Redfa delivered important intelligence to Israel, other results of his defection are often massively overstated — especially in the United States. Because Baghdad re-established its cooperation with London and the United States in late 1963, U.S. intelligence services not only received the opportunity to test-fly MiGs in Iraq, but also received all the related technical and training documentation. 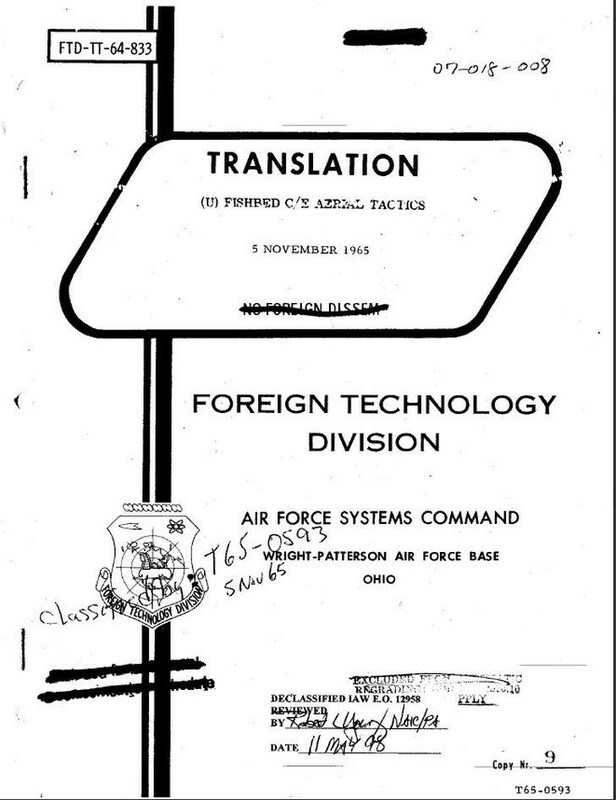 That’s how the famous Foreign Technologies Division of the U.S. Air Force was able to obtain and translate the tactical manual for the MiG-21 as early as 1965. Because the Iraqis knew about this, it’s unsurprising that their official investigation of Redfa’s defection concluded that he was simply the number-four on Mossad’s list and, if he had refused to defect, the Israelis would have gone on blackmailing and assassinating pilot after pilot until one finally gave in. Therefore, none of Redfa’s superiors or colleagues was punished. The Americans were granted permission to test-fly MiG-17s in Cambodia around the same time, and in the early 1970s the Americans obtained no fewer than 13 MiG-21F-13s from Indonesia. This enabled the U.S. Air Force and the U.S. Navy to establish an entire training squadron equipped with the type and successively expose not only few hand-picked test-pilots, but thousands of fleet pilots to the MiGs.